After attending the original 1973 Broadway production of A Little Night Music, I walked – or, really, waltzed – out of the Shubert Theatre feeling wonderful, when someone behind me grumbled: “That’s what’s wrong with Sondheim’s shows. He doesn’t write songs anyone can whistle.” Not only was this complaint ironic – “Anyone Can Whistle” remains one of Sondheim’s prettiest tunes – but all the tunes I’d just heard were resounding in my head. I could’ve sung, note for note, word for word, “You Must Meet My Wife” after one hearing. 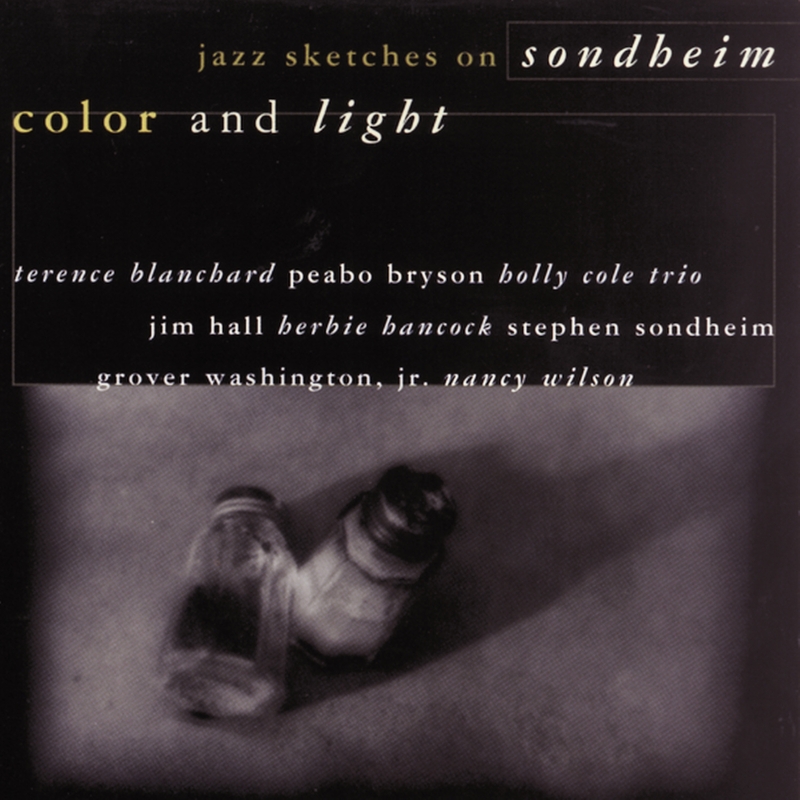 Color and Light: Jazz Sketches on Sondheim, for me and for anyone else who’s ever whistled Sondheim’s tunes, is a natural – though, other than Sarah Vaughan’s frequent encore of “Send In the Clowns,” there hasn’t been more than a handful of jazz recordings of Sondheim’s songs. What’s even more disheartening: not many Broadway songwriters since the ’60s have inspired jazz musicians. Many of today’s musicians revitalize the same standards of Rodgers, Porter, Berlin, Kern, Arlen, and Gershwin that Sonny Rollins and Oscar Peterson played before them – and that Coleman Hawkins and Art Tatum performed when the songs were new. Color and Light mines a whole mother lode of songs and, hopefully, will awaken other jazz artists to the wonders of Sondheim’s music. What’s difficult about playing his songs divorced from their original surroundings is that their context is like a Wagnerian Gesamtkunstwerk, where everything is ideally connected – music, lyrics, characters, incidents. Miles Goodman is best known as a composer for films – House Sitter, Dirty Rotten Scoundrels, What About Bob? – and his jazz experience includes arranging Terence Blanchard’s Billie Holiday Songbook. Goodman and Oscar Castro-Neves, a jazz guitarist of enduring stature, have together produced other projects of jazz and song (notably a Brazilian all-star tribute to harmonica master Toots Thielemans). They approached the music of Sondheim with admiration for his artistry and craftsmanship – and sought out musicians who shared their respect. Goodman and Castro-Neves suggested songs to each artist – although some of them selected their own songs. “Jim Hall bought everything and came up with his own choices,” relates Goodman. “He also requested the lyrics.” That’s not unusual for jazz musicians, who realize that what Hart wrote was essential to what Rodgers wrote. “Color and Light” is the one song on the album that’s most (virtually) in context. Sunday in the Park with George envisions the Georges Seurat painting “Sunday Afternoon on the Island of La Grande Jatte come to life. Seurat’s technique created images from jillions of colorful dots that come together in the mind’s eye. Herbie Hancock’s piano recreated Seurat’s pointillism with music, as if notes were dots beautifully painting Sondheim’s song. Or, at least, Sketches on Sondheim … II? At first hearing, the music of Stephen Sondheim may not seem to lend itself to jazz interpretations, which makes this album doubly intriguing and interesting, with its updated and jazzed-up treatments of some of the composer’s most familiar songs. “Every Day A Little Death” gets a soulful rendition from Grover Washington, Jr.; “Losing My Mind” is heard in a spirited version by the Holly Cole Trio with Wayne Shorter; “Poems” is rescored by Terence Blanchard; and “One More Kiss” is sensitively played by guitarist Jim Hall. Vocalists Nancy Wilson and Peabo Bryson lend their support on a couple of tracks, and Sondheim himself joins the fun in a piano duet with Herbie Hancock.